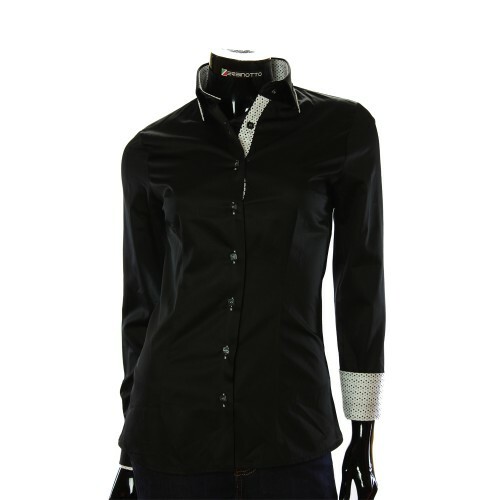 Women's grey shirt with decorative collar and double cuffs. 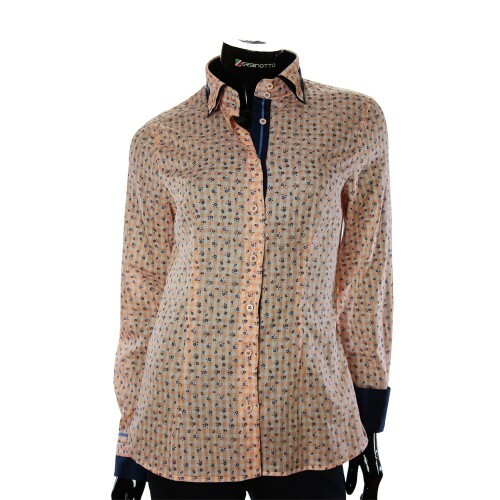 Elegant women's shirt of Beatrice collection from Italian brand Zerbinotto®. 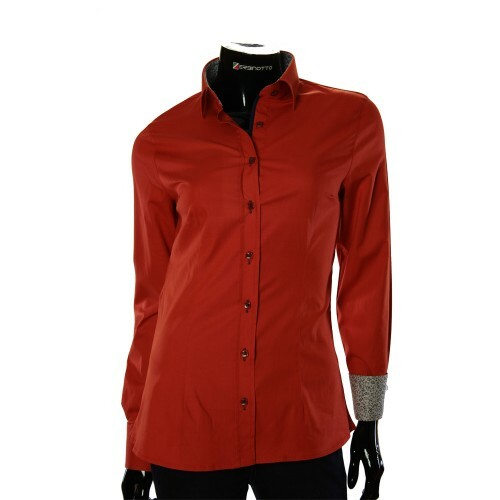 This model of women's shirt is Slim Fit, and is made of 100% satin cotton. 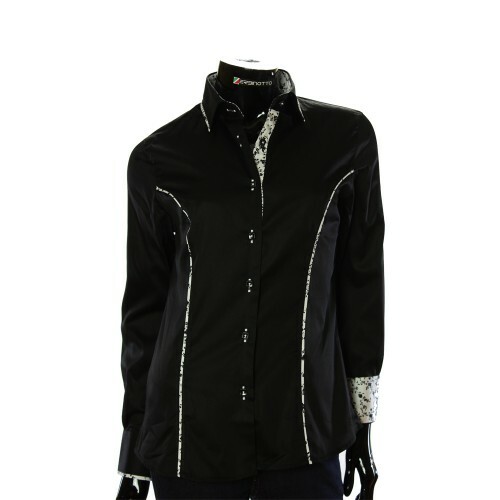 The performance in satin gives the shirt a rich shine and gloss. 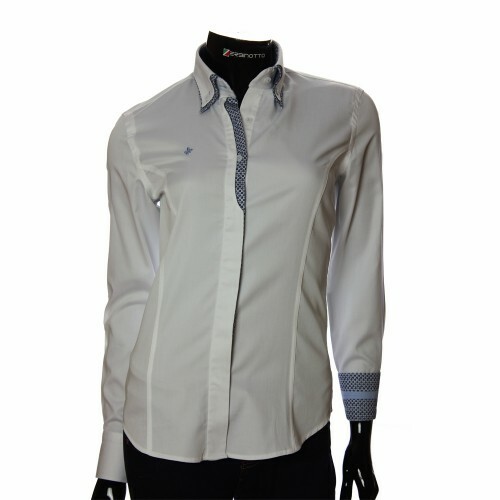 The fabric of the shirt itself is dense and excludes the possibility of transparency. 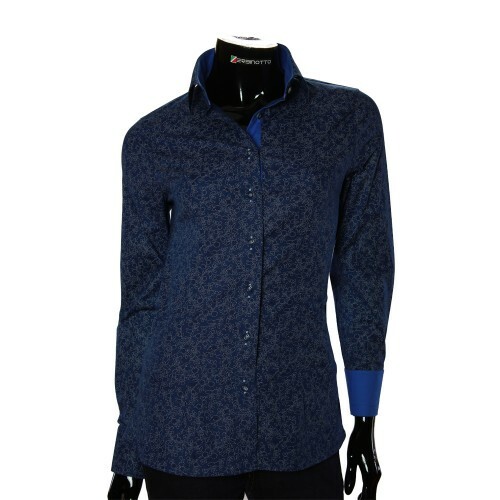 The shirt is made in grey color. Decorative inserts and elements contain grey and violet. 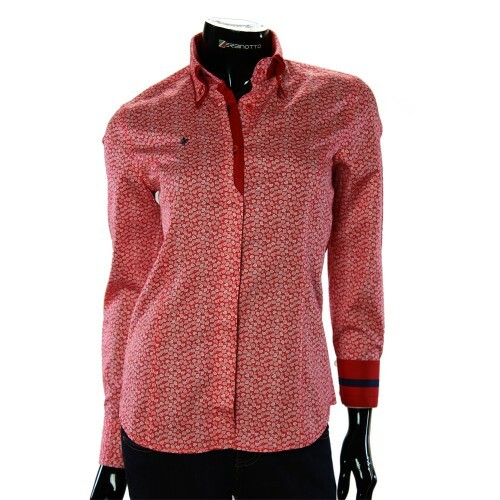 About them in more detail in the characteristics of each element. 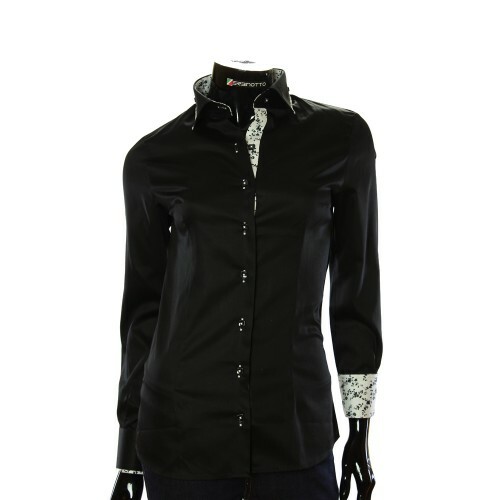 The collar of the shirt is classic with decorative inserts. 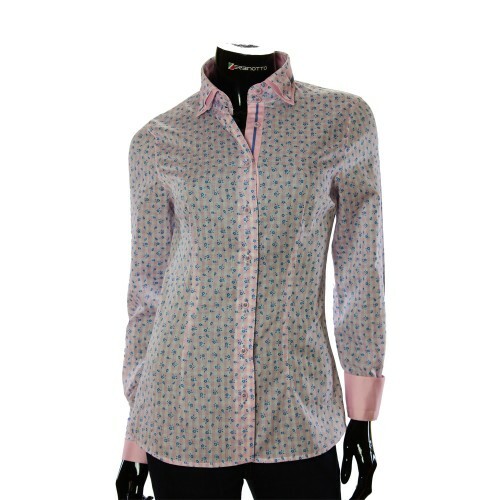 Decorative inserts are made in a pattern of grey and violet. Also, inlays are sewn on the sides with a dotted violet line. 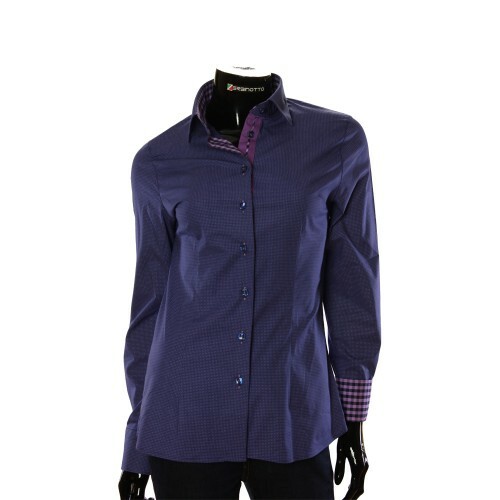 The inner side of the collar is made in deep violet color, which eliminates the possibility of excessive wearing. 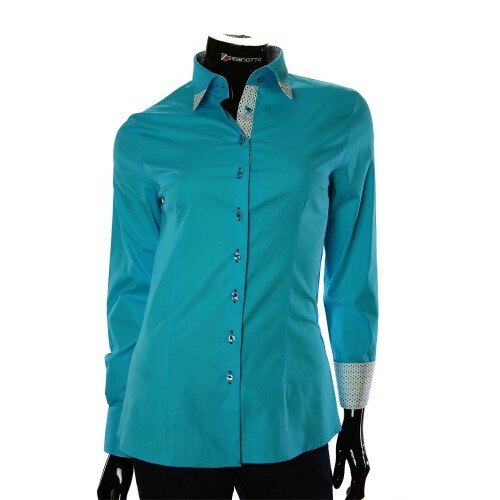 The collar of the women's shirt fastens with a single button. 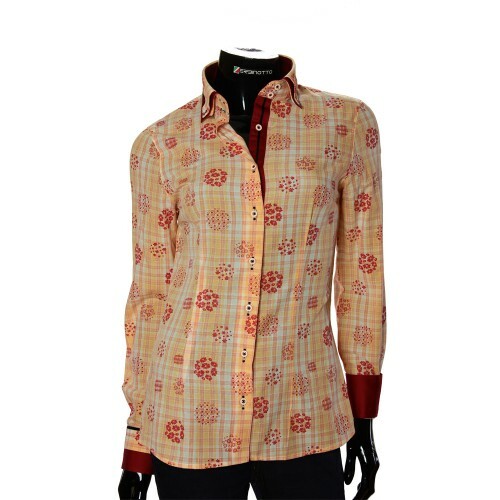 Plastic stones are sewn inside the collar to give the collar strength and durability. Shirt cuffs are double sided. The outer sides of the cuff are made in a grey violet pattern with dotted stitching, the inner sides are plain, deep violet. 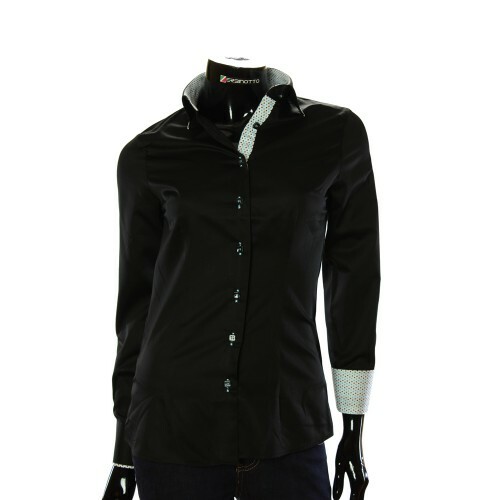 Buttons are located on the cuffs in the transverse direction. 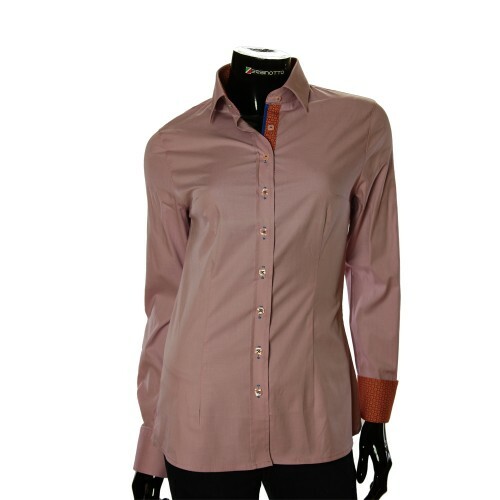 On the sleeves of the elbow direction there are angular, decorative inlays of violet color at the back. Button strip is made in the hidden version for buttons. The outer strip is plain grey. 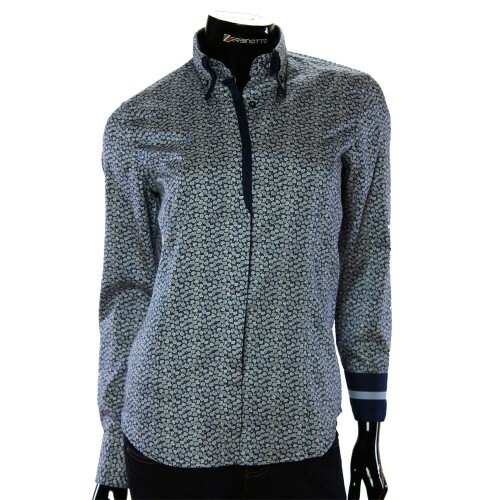 The inner button strip is solid in grey and violet pattern. Button division is delimited by decorative violet line. 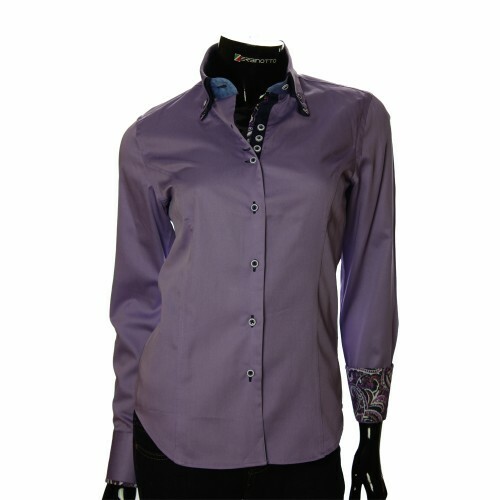 The buttons of the shirt are grey, round and sewn with violet thread under the main decorative pattern of the shirt. 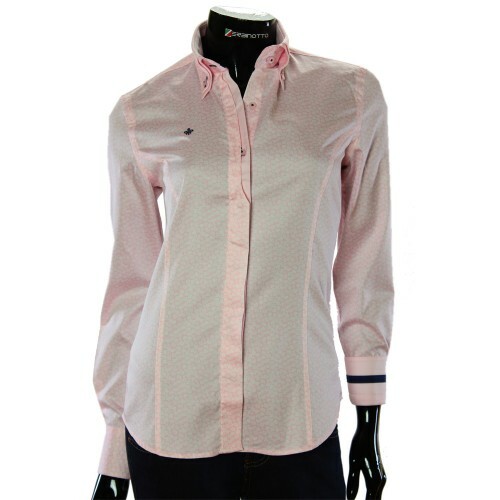 Button cuts are trimmed with violet lines. 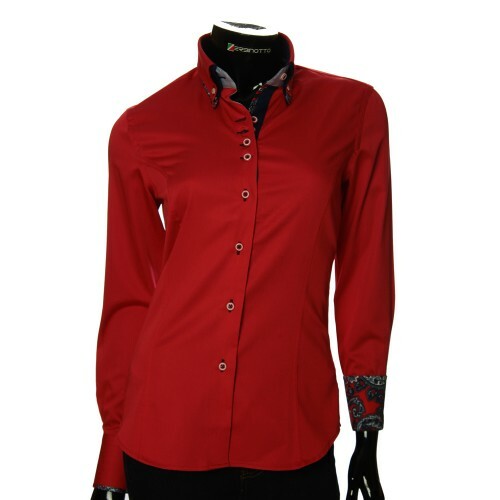 You can buy women's shirt on our official website of zerbinotto.com or order by phone 096 77-1-66-88. 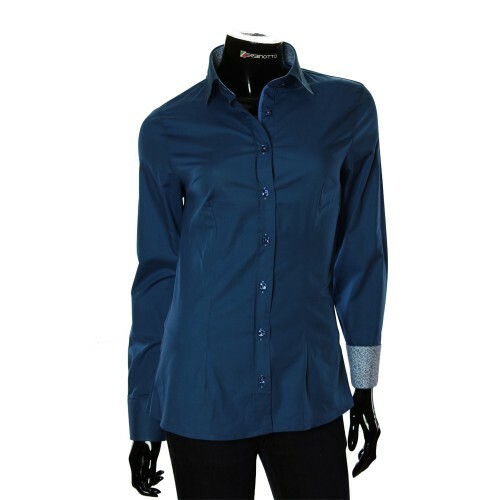 We recommend you to look through parameters of the shirt model to determine exactly your size. Women's shirts - Buy shirts online in casual style, casual, evening and elegant (Europe, USA, Asia, Middle East). Buy in the store Zerbinotto® - the top brand among Italian shirts.